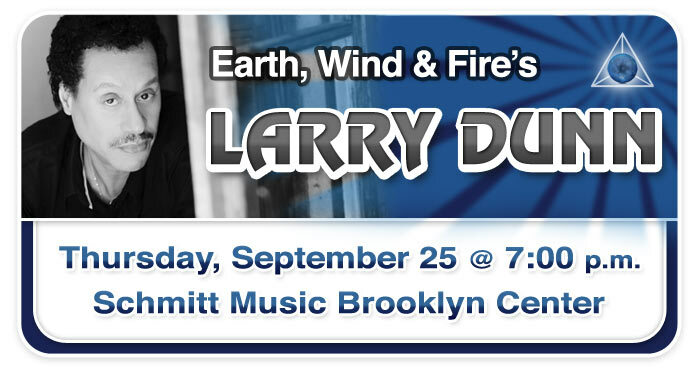 Larry Dunn Workshop & Performance at Schmitt Music Brooklyn Center! "A Musical Journey…" with Evangelos Spanos & Daniel Cunha, Piano Duo! Scott Kirby Ragtime Piano Workshop & Live Performance at Schmitt Music Kansas City! Red River Trio to perform at Schmitt Music Fargo! 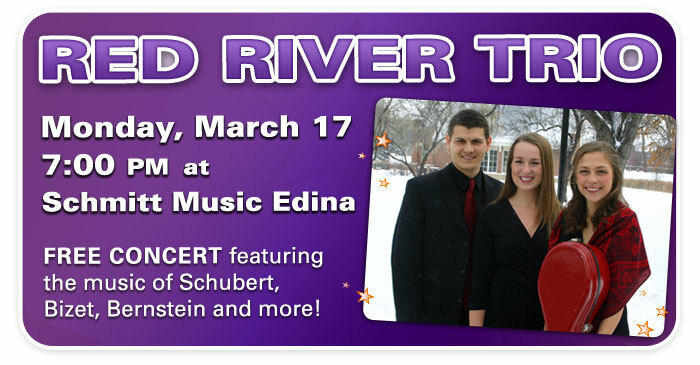 Red River Trio to perform at Schmitt Music Edina! Dr. Charles Badami Piano Recital at Schmitt Music Kansas City! An Evening with OPUS TWO at Schmitt Music Denver! Kawai Artist Sean O’Shea Live at Schmitt Music Kansas City! Kawai Artist Sean O'Shea Live at Schmitt Music Denver! Win Tickets to "My Mother Has Four Noses" by Jonatha Brooke at the Guthrie Theater!